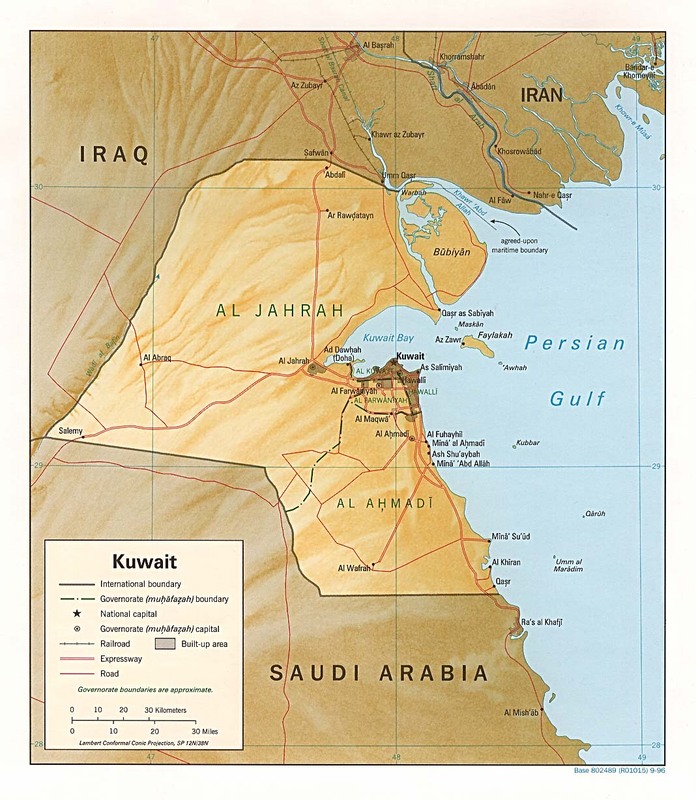 A quick history lesson/reminder, to lay the groundwork for this week’s missive: On August 2, 1990, Iraqi troops poured across the border into Kuwait invading the sovereign nation with the intention of making it part of Iraq. 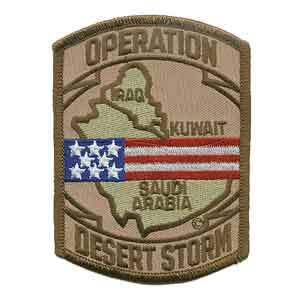 Five days later the first US troops arrive in Saudi Arabia as part of Operation Desert Shield. From then until January 1991 diplomatic maneuvers took place which went nowhere and at 0238 on 17 January Desert Storm began with the first air strikes against Baghdad. Most folks have long forgotten Iraqi forces also invaded Saudi Arabia shortly after this but were driven out on 1 February. On 24 February, the ground war formally began with the British Special Air Service in the lead as coalition forces crossed the border at 0400. 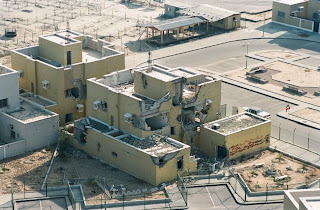 Three days later U.S. Marines and Saudi Arabian troops entered Kuwait City and liberated it. After the invasion of Kuwait, when it became apparent resistance was futile, much of the leadership and military escaped into Saudi Arabia to form a government in exile and to mount a fight for liberation from there. A majority of those left behind were Kuwaitis who were not military and those who had not been in leadership positions before. It did not take long for the remaining military members in hiding and these patriots to develop an internal resistance movement, especially as news of an imminent liberation effort started to spread. 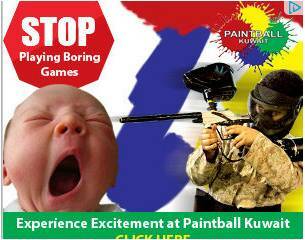 The Iraqi occupiers were cruel and barbaric. They were under strict orders to steal anything of value and return it to Iraq as seized war booty. Of particular interest were scientific and medical devices Iraq did not have access to due to their own economic embargo. News reports during the period included footage of Kuwaiti babies who were removed from incubators and left to die while Iraqi troops stole the devices for return to their homeland. Additionally, orders had gone out for anyone who displayed any kind of resistance to be shot, houses which displayed any sort of defiance were to be destroyed, and demonstrations were to be greeted with liberal automatic weapons fire to quell any opposition. The situation deteriorated as Iraqi troops realized they could steal whatever wealth they could carry within them and legitimized robbery became the norm. 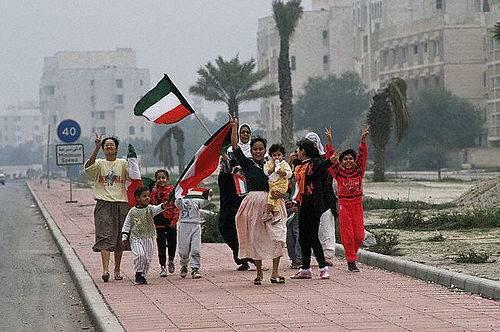 In the midst of this horrible situation, Kuwaitis began to gather together and formed small battle groups to try and help protect their country against the Iraqi enemy. Over time, the groups started to obtain weapons – – some were even purchased from Iraqi troops in exchange for food and water. Kuwaiti women were the ones who trafficked guns from place to place within the city, getting them to where they were needed. The groups began to get more and more daring as they moved from merely causing disruption to actually confronting and killing Iraqi soldiers and disrupting Iraqi supply lines. Again, these were not soldiers who were doing this; these were civilian activists who rose up because their country needed them. The Al Messilah Group (named for the Group's location) consisted of 31 members. The members were young men who strongly believed in Allah and their cause, taking an oath to sacrifice everything to uphold the pride and honor of their country. What made this group unique was the different background, class, faith, or origin of the 31 members. The group included both Sunni and Shiite Muslims as well as to members from Iran. This was a group driven by a purely nationalistic cause. As a result of their varied backgrounds and origins, the group itself became a well-known example of unity to others. The Al Messilah Group concentrated on sniping Iraqi soldiers and planting bombs on Iraqi munitions trucks. When the Iraqi troops began to set up stronger control over the Al Messilah area to clamp down on subversion, the group chose a safer place to gather and retreated to the Al-Qurain district. It was a newer area, and the Iraqi's were unfamiliar with it. They relocated to Beit Al-Qurain, the house of Bader Nasser Al-Eedan and then based their operations out of a grouping of villas. 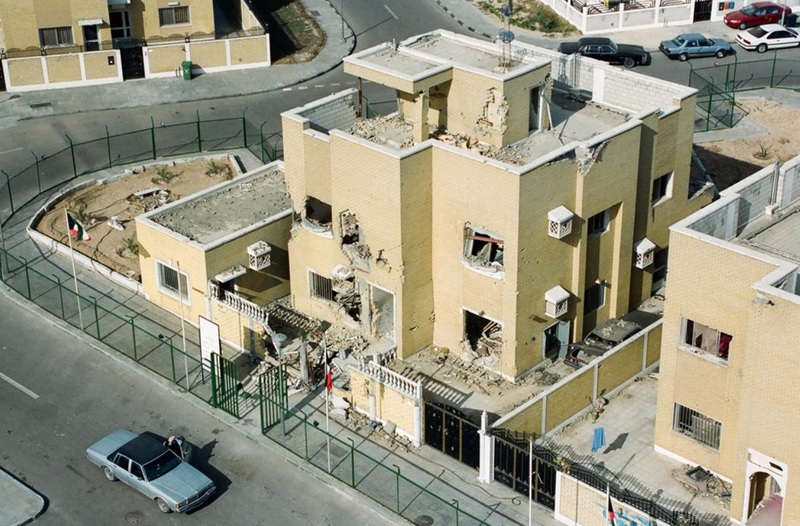 Early on the morning of 24 February, 19 members of the Al Messilah Group were assembled at the villas in Al-Qurain. Without warning the power was cut off across the neighborhood at about 1:30AM. This was a precursor to the upcoming invasion. "We had a tip that coalition forces were going to execute a marine landing in coordination with two Kuwaiti resistance groups, which are Al Messilah and West Fentas groups," Hazim Jaber Saleh, surviving member of Al Messilah, said during an interview with KUNA. "When the coalition forces' land attack was announced, we were overjoyed and planned to have a role in directing the coalition forces to Iraqi soldiers' gathering sites and in assisting the forces in fighting the occupiers who had begun to withdraw," he added. The group had brought their weapons out of hiding and were preparing to attack the Iraqi forces. Resistance members were wearing unified clothing with Al Messilah Group on the front and Kuwait Force on the back so coalition forces could identify them. At about 8AM, while they were gathering their weapons and discussing their plans, a van holding Iraqi troops which had been on patrol in the neighborhood came upon their villa. Iraqi forces had begun arresting Kuwaiti youth from their homes to use them as human shields and to hold them as prisoners of war. The car stopped in front of Beit Al-Qurain, and an Iraqi soldier got went to the door and knocked, but got no answer. An Iraqi officer then ordered a soldier to jump over the fence and try to enter the home. This led to the discovery of the Al Messilah Group. The troops immediately surrounded the villa demanding their immediate surrender. The resistance group's leader Sayed Hadi Al-Alawi was watching the situation from the roof when he announced to the Iraqi’s the Kuwaiti resistance members chose to fight rather than surrender. “Al-Alawi shot the Iraqi soldier, the two sides exchanged shooting until 6:00PM, then Iraqi Army forces requested tank support, as well as that of Republican Guard forces that surrounded the house from all sides," Saleh said. For 10 hours the Al Messilah Group fought off the assault armed with nothing more than small arms. The tanks repeatedly fired at the house leaving enormous holes in the walls and causing some of them to crumble. There was a constant stream of bullets ripping through the home, as the members of the group moved about inside to gain a better position to fight off the attackers. “Al-Alawi asked the Kuwaiti resistance members to take positions in different parts of the house to confuse and disperse the Iraqi soldiers who began firing tank and artillery rounds at the building, while the Kuwaitis only had light weapons to return fire with,” Saleh explained. By the end of the day, the resistance was running out of ammo and realized there would be no rescue from outside. (My interpretation) Sayed Hadi Alawi, their leader, knew there was no way all of them would make it out of the villa alive. He told his group to be prepared to escape, and he would create a diversion. 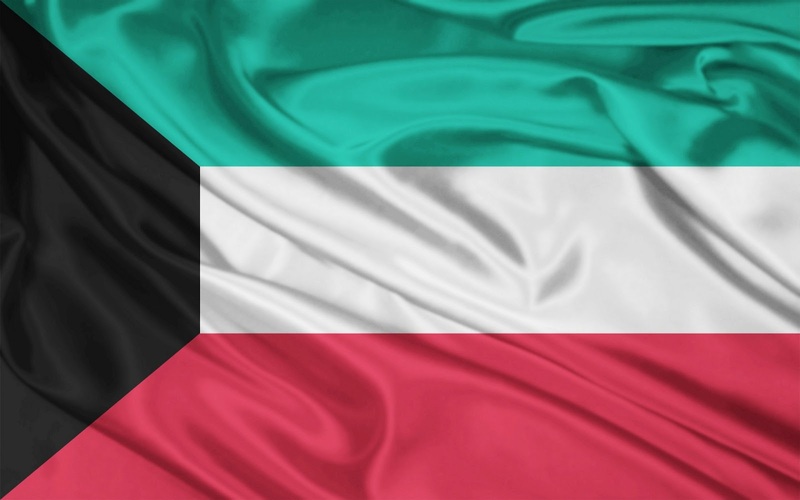 Alawi made his way to the roof of the battered structure, carrying with him a Kuwaiti flag, what was left of their grenades and his weapon. As he looked over what remained of the wall which encompassed the roof, he could see below over a hundred Iraqi troops who were firing at the villa along with the two battle tanks that had been continually blasting their structure. Pulling the pins from the grenades he threw them into the gathered squads of troops below. In the respite from their continual fire, he turned and raised the Kuwaiti flag in a final act of defiance would seal his fate. While the troops were running from the grenades, one of the tanks – – seeing him on the rooftop – – fired its main gun ending Alawi’s life. Yousef Khudair Ali and Aamir Faraj Al-Enizi continued to fight until both were killed by gunfire from the Iraqi troops below. The remaining Al Messilah Group members who did not leave the house were forced to surrender as they were completely out of ammunition. They were arrested when the Iraqi troops swarmed into the house. 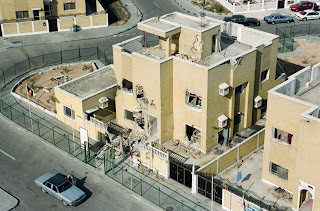 The members of the Al Messilah Group captured were: Jassem Mohammad Ali, Mubarak Ali Safar, Ibrahim Ali Safar, Abdullah Abdulnabi Mandani, Khalil Khairallah Al-Bulishi, Khalid Ahmad Al-Kandiri, Hussein Ali Ridha, Mohammad Othman Al-Shaya, and the homeowner Al-Eedan. It was now 6 PM. In the 10 hours, the battle lasted, 19 Kuwaitis, who were mostly untrained, held off over 100 and Iraqi troops including a contingent of elite Republican Guard and two tanks. 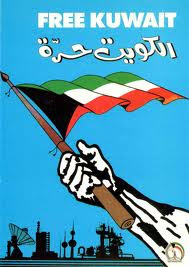 They did so with only small arms and a smattering of grenades – – however, in a fighting spirit which would have given Sun Tzu pause, the members of the Al Messilah Group were united in a sense of purpose and by the ultimate goal of seeing Kuwait freed from its occupiers. “The arrestees were all executed by Iraq soldiers at Sabah Al-Salem Police Station, and their bodies were thrown into an open area in Al-Qurain,” Saleh said. “Allah the Almighty had chosen martyrdom for 12 of the resistance members and survival for the rest who either escaped to neighboring homes at the start of the battle or hid in the dark amid the ruin of a house as electricity was cut off. The survivors were Sami Sayed Hadi Al-Alawi, Mohammad Yousef Kareem, Jamal Ibrahim Al-Bannai, Talal Sultan Al-Hazza', Mishaal Al-Motairi, Bader Al-Suwaidan, Ahmad Jaber Saleh, and I,” Hazim Jaber Saleh said. After the liberation of Kuwait, the house where the battle took place became the Al-Qurain Martyrs' Museum honoring all the Kuwaitis who were martyred due to their active resistance against the Iraqi invaders. While my son was here for a visit, we went to see the site. The villa has been left pretty much as it was at the end of the battle. Sections of walls are missing, floors completely gone, and twisted metal rebar exposed throughout. Huge holes in the exterior brick walls from tank fire, glassless windows, and structures torn from their foundations. When walking through the battle site, I felt the familiar pangs of respect and awe experienced while visiting other places of liberation against tyranny. Plaques are located within the villa to show where the men lost their lives, were captured or hid to evade arrest. On one side of the villa, the more damaged side of the building, you can look out and down upon one of the Iraqi tanks which was involved in the battle still frozen there in time. I recalled the image of Tiananmen Square where a sole student faced down a tank – but this was different – here the tank was firing without restriction or mercy. My mind reeled at the thoughts of what took place and the bravery it must have taken to continue the fight even when you know all is lost. On the first floor is the museum which has displays of various relics from the battle. 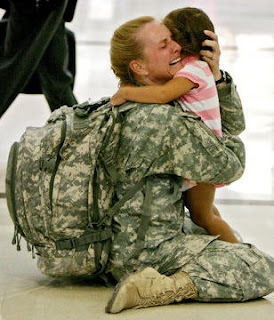 There are heart rendering pictures of the martyred men and the families they left behind. Shell casings, machine guns, and multiple documents are on display. The documents include orders given to Iraqi troops that were in effect during the occupation. The rules included things like "Burn and destroy all the homes on which there are slogans hostile to our leadership, the pictures of the defunct Al-Sabah dynasty, or the Kuwaiti flags." "Burn and destroy every district in which any military, security, or Popular Army individual is martyred." "Arrest any person who owns, or keeps at his home, a weapon." "Annihilate any hostile demonstration." Included in the display is a memo from General H. Norman Schwarzkopf expressing his regret they did not reach the house 4 days earlier – as it could have prevented the slaughter. PostScript: The description of the battle above is the result of finding fourteen or so versions of the fight and pulling out the pieces where the facts coincide. I was never able to find out how many Iraqis died in the battle, only a single reference to a hundred or so taking part in the skirmish. It is interesting that even though this just happened 20 or so years ago, the story has already begun to transition into legend. I don’t think this is a bad thing; it is our legends which inspire us and cause us to move forward. I do believe this tale of bravery would make a reasonably good movie, in fact, if I could get the rest of the facts I might take a shot at writing the screenplay myself. 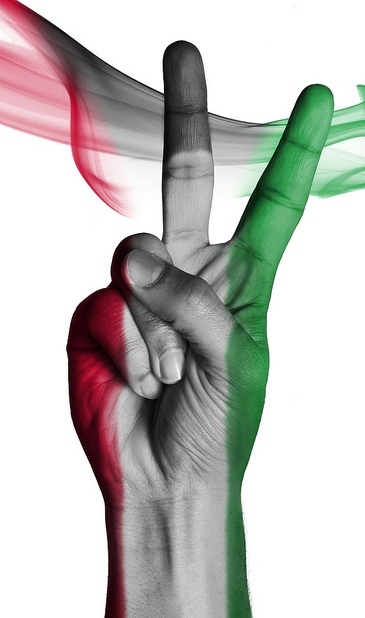 Even without a film, Kuwaitis need to be aware of the struggles which happened during the occupation, and they should be continually reminded not only of the bravery but what was possible when all of the people worked together to benefit the nation. I've been writing every week, at least once a week, since I left the United States for Kuwait. Over the past 14 months I talked about a lot of different things that I've seen here and in the region when I've been fortunate enough to travel around. With every entry I tried to poke a bit of fun of myself and the situation here, because sometimes it is only with a sense of humor that you make it through some situations. This week, I really don't have anything to say. I think for the first time since I've been here I feel the claustrophobia that many feel all the time. I've tried not to allow myself to be taken in by that feeling because it is so easy to start to feel sorry for yourself if you do. This week, I truly felt hemmed in and isolated. It was not because of the inability to get certain goods like bacon or ham. It wasn't because I wanted to have a beer and couldn't. 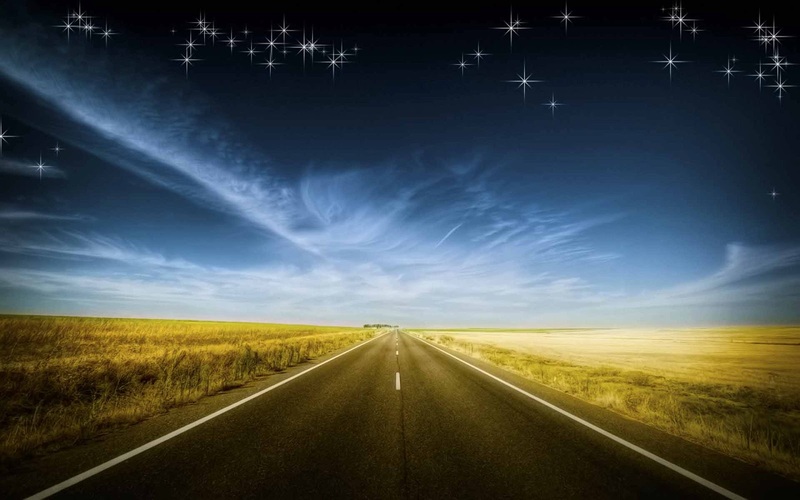 For the first time, I found myself wanting to jump behind the wheel of my car and go but could not. 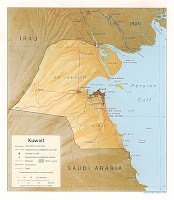 Kuwait is a country surrounded and the only options for by car travel are Saudi Arabia (which requires a special visa and has road bandits), Iraq (where they are still blowing up things), The Persian Gulf (only good if you own a boat-car), or Iran (REDACTED). A NASCAR driver would love it because unlike NASCAR, you do have the choice of going around in circles to the left or the right. I think the only place I have felt more trapped was when I was on Guam (32 miles long, 8 miles wide). Soon, I will get to go back to the United States for a few weeks on leave. I will have a ham sandwich with a Corona light beer. I will enjoy having a female population to watch that is not dressed like Obi-Wan Kenobi. 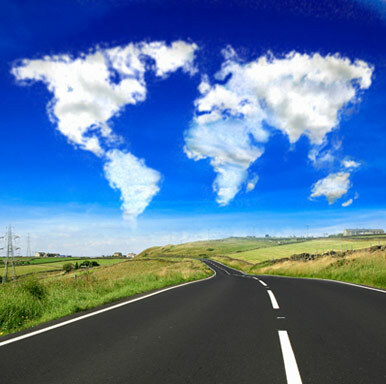 But most of all, I will get behind the wheel of a vehicle or hop on my bike and turn some miles on the odometer. 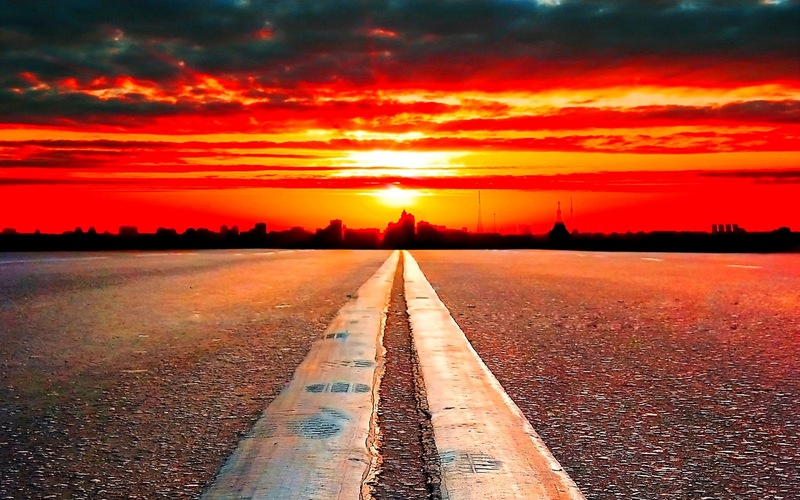 There is a certain mental freedom and release that comes from the sound and feel of the highway as it passes beneath your wheels while you look into the horizon up ahead -- a horizon that never seems to get closer no matter how long you drive. First, let me take a moment to wish happy Mother’s Day to all the moms. Everything you do is appreciated, maybe not today, maybe not tomorrow, maybe not next year, but eventually your child will be grateful for every single thing you’ve ever done for them. Until that happens, I will tell you Thanks Mom. Here at Camp Arifjan I work with a lot of Soldier Moms, and even a few Soldier Grandmothers. Just like the picture, they are all counting days until they get home to give their son, daughter, or grandchild a hug, a kiss, and a tear. This week… I was back to Groundhog Day. Really. 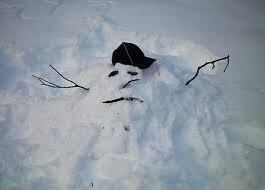 Nothing much happened worth mentioning, but after the last two weeks I was ready for a little Groundhog Day. So, this week I will talk about a few things that I saw that interested me and for some reason or another got my attention. It has started to get hot already. In the past week we’ve had a few days where the temperature has been over 100°, many more on the way. What has been strange is the rain that is been interspersed and mixed in with the high temperatures. It is unusual to get the weird blend of whether we’ve had recently. But, it does keep things interesting; woke up the other night to massive thunder and lightning. In the next few months we will get dust storms and then the temperatures will soar to over 110° and stay there until September. Zain is the name of one of the biggest cell phone companies in Kuwait and the Middle East. It never occurred to me how genius the man was named the company until I had my recent Adventures through the Kuwaiti police system. Zain is not someone's name or a nonsense word like Kodak; it is actually an Arabic word. Zain means, Okay, I agree or fine. In other words, one of the most common words you might hear in a conversation between two people. Not only is the word common, it is also positive -- you are agreeing, everything is all right, everything is good. How genius is that? It might seem trivial and maybe I just had a little too much time on my hands while sitting in all those Police Stations but can you imagine if Sprint or Comcast had gone with a name like "OK?" or "Agreed"? Name recognition would've been instantaneous and with those words being spoken by almost everyone in the country many times a day – – talk about free publicity. Zain was one of the six words I learned during my Adventure and it is one that I've managed to slip in to at least one conversation every day since. Zain? When I was a young boy, I went to the Bibb County Fair with my maternal grandfather. I had never been to a Fair before so I had no problem when my grandfather wanted to take me through all the livestock stalls and show me all the award-winning pies. One thing I remember mostly about that trip to the Fair was a display that was set up by the Department of Revenue. ﻿﻿There were tables with bootleg and homemade license plates on them but what really held my interest was a still that they had on display. 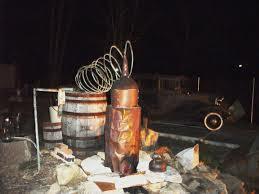 It was not working, but all the parts were there to include a big vat where the moonshine was processing with a fake fire underneath it. At the top of the vat was a coiled section of copper tubing which allowed the alcohol to cool prior to it coming out the far end into a holding jug. There were other parts, to include a car radiator, I'm not sure what they all did but that image of the vat and the coiled tube stayed with me. 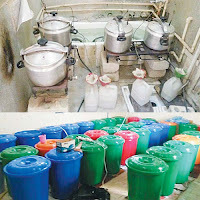 The other day while surfing a friend's blog I saw these pictures of a local alcohol still that had been closed down by law enforcement. Surprisingly, gone was the familiar coiled copper tubing but it seems that even though the vats have gone high-tech – – from metal to plastic – – this scuzziness of the process remains. According to the news article that accompanied the photo, this belongs to a pair of Bangladeshis who were now in jail. I'm not sure what the penalty is for making bootleg liquor in Kuwait – – but I will guarantee there is some sort of prison sentence attached to it. I found this photo disturbing. Now that I've lived in the Middle East for some time, I am used to seeing women in abiyas with veils on. 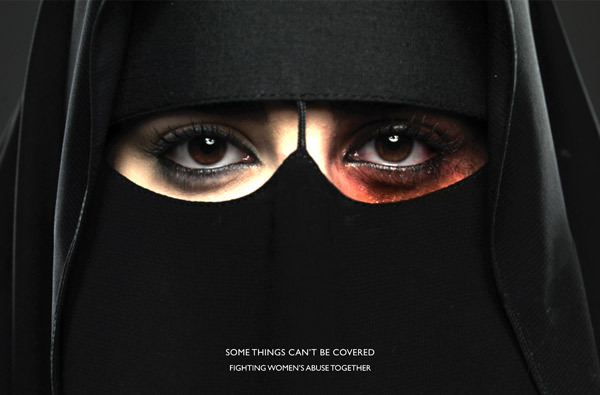 I can't remember ever seeing a woman with a black eye being hidden by the veil but from what I understand domestic violence is a real problem in Saudi Arabia, which is the origin of this particular advertisement. Interestingly, it is a government program that created the ad and is trying to create an environment where abused women can get help and justice. The photo is very memorable; I hope that the Saudi government's actions will also be memorable as a positive step. 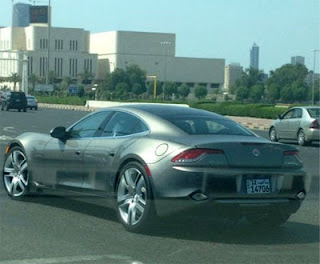 A Fisker total electric car in Kuwait. Gas is .45/Gallon. Why? 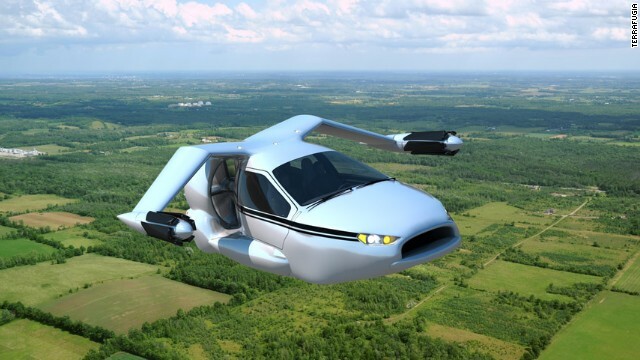 Scientists, pay attention: JETPACK not FLYING CAR! Sheesh. 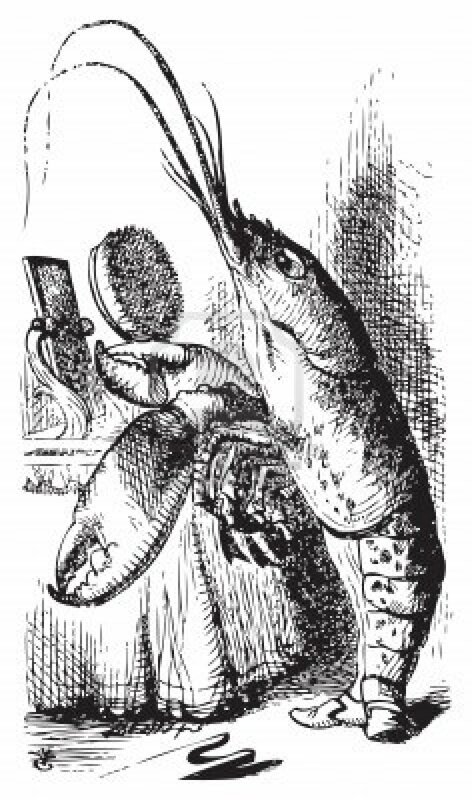 This entry is semi co-written with Lewis Carroll. It is possibly the longest entry I have ever written but it takes this many words to describe my adventure through the Kuwaiti system for traffic accidents. In the attached tale, I have removed or changed names, do not give detailed appearance descriptions, and do not reveal locations in order to protect the innocent, the guilty, and anybody who happened to be standing around while this was going on. With the exception of Alice... Alice is always Alice. Most often she is Alice in mismatched socks. Alice is feeling bored while sitting on the riverbank with her sister, when she notices a talking, clothed White Rabbit with a pocket watch run past. It was 6:30 in the morning when I hopped into my car and headed to work. Traffic was moderate for a Thursday morning but I made good time getting from my neighborhood to the highway. In no time at all I found myself on Highway 30 headed south towards Camp Arifjan. Following my normal routine I immediately got in the left-hand lane in order to avoid all the traffic coming on and getting off the highway for the next few kilometers. I was, however, facing a wall of traffic. Evidently, somewhere up ahead, there was an accident or some other snarl up that was causing the traffic to be stop and go. I allowed the car in front of me to have a goodly amount of space in case I needed to break. At some point I put on my brakes because the car in front of me had stopped doing this caused the car behind me, which was evidently following much too closely and fast, into direct contact with the rear of my car. I looked in the rearview mirror to see a white car being driven by an Indian with two passengers. After ensuring that I was not bleeding or injured in any other way, I proceeded to let loose with a string of profanity while still seated in my car – – in that way I would not offend anyone but at the same time I could release some of the anger that I was feeling because I had heard of but not experienced the nightmare of Kuwaiti traffic accident rules. Alice is unhappy and cries as her tears flood the hallway. 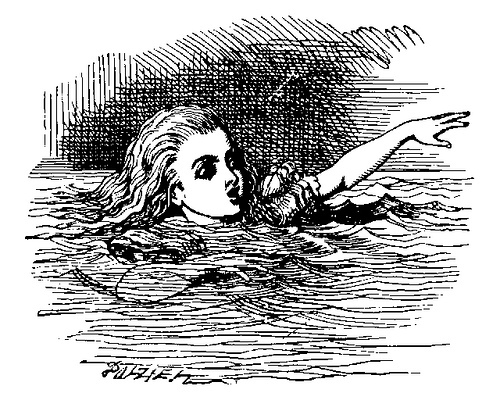 After shrinking down again due to a fan she had picked up, Alice swims through her own tears and meets a Mouse, who is swimming as well. I got out of my car and using my phone’s camera took pictures of both the damage to my vehicle and his, to include getting a picture of his license plate and promptly emailed those to myself to prevent loss of evidence should something happen to my phone. I then used the phone for what it was designed for and called the Provost Marshall’s Office on base as well as the Kuwaiti police. Several people I work with pulled over and asked if I needed help. Since I was not injured and my vehicle was more than drivable I sent them on with my thanks. American military civilians are a small community in Kuwait, so we tend to be very close knit and help each other. The sea of tears becomes crowded with other animals and birds that have been swept away by the rising waters. Alice and the other animals convene on the bank and the question among them is how to get dry again. The Kuwaiti police showed up in about 15 minutes, from what I understand, this is remarkably fast for a no injury accident. There were two officers in the car and the lead officer got out and directed me to pull over to the opposite side of the road in the emergency lane as it would be safer. I truly think that he failed to consider how dangerous it would be for three cars on the left side of Highway 30 to transition across the highway onto the right side during the middle of rush hour when all the cars going down the road are moving at speeds well above the posted limit. But, what the heck I gave it a shot and in no time at all we were all on the opposite side of the road. The police asked for my documentation as well as that of the other driver and then started to prepare an accident form. 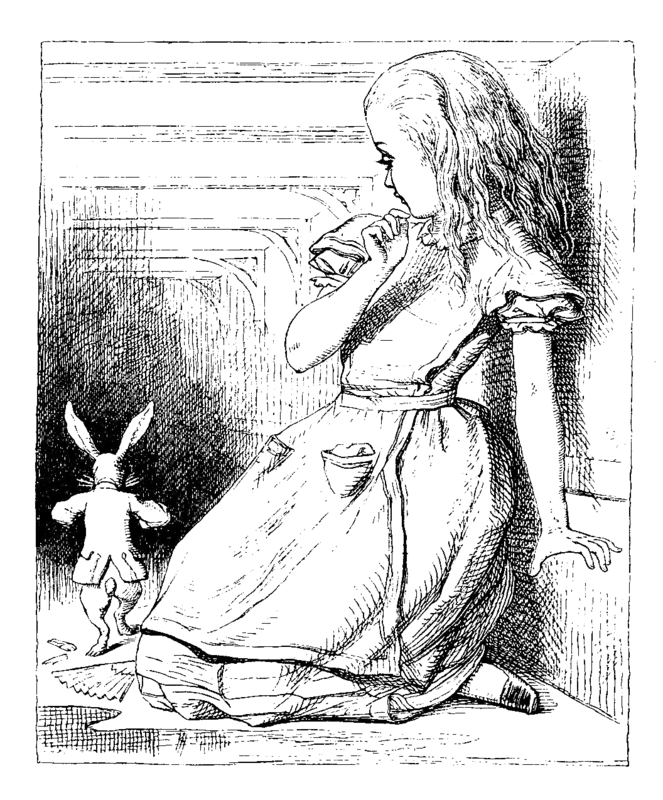 The form once filled in became The Form and I would find as the day progressed that it was more valuable than the Holy Grail, the Shroud of Turin, and the Dead Sea Scrolls combined. Neither Kuwaiti officer seemed to understand English very well, especially t when it came to trying to interpret the English words on my Michigan driver’s license. However I helped them out by identifying what my first and last names were and my birth date. This is how The Form gained its only two English words – – my first and last name. The White Rabbit appears again in search of the Duchess's gloves and fan. Mistaking her for his maidservant, Mary Ann, he orders Alice to go into the house and retrieve them, but once she gets inside she starts growing. After a few minutes, The Form was complete and the officer handed it to me. I did not realize that he did not give a copy of The Form to Mojabar (the other driver). Along with The Form we were told that we needed to proceed immediately to the Police Station in Al Gruffton in order to go through the next step in the process. So, we proceeded from the highway to the Police Station in Al Gruffton. In Al Gruffton, I entered the Police Station which was fairly barren but serviceable. On either side of the entrance way were small sitting areas that were surrounded by a half height wall. A small walkway to get into either sitting area gave the overall effect of them being corrals. Directly in front of the door was a counter where the Desk Sergeant sat. The Desk Sergeant had a frown on his face and maintained a sneer for the entire time I dealt with him. I presented The Form to him and as I did the Sergeant broke into a flurry of Arabic. I’ve never quite figured out why, but my first reaction when someone speaks to me in any foreign language I always respond in German. This of course led to a look of surprise in the Sergeant’s eyes as well as Mojabar’s. It may have explained some of his gruffness if he thought he was dealing with a Russian and an Indian. Regaining my composure, I then asked if he could speak English, to this he responded “No”, then motioned for both Mojabar and I to have a seat in the right most waiting area. So, we went and sat down. Mojabar did speak Arabic as well as English; however he had a stutter which made him difficult to understand in English and probably in Arabic as well when you add in the Indian accent. He was dressed nicely, but not in the suit which led me to believe he was probably a mid-level technician of some sort although I never asked. I watched as a delivery boy brought in food and presented it to the Sergeant, and then the Sergeant and a dozen others gathered in the space behind his counter and ate. While killing time, I looked around the Police Station and I noticed that not a single sign was in any language other than Arabic. I guess have gotten used to things in the United States where signs are in English, Spanish, and sometimes French (especially up in upper Michigan). Most police officers, according to the research I have done for my book Blood Upon The Sand, are Bedouins and not Hathar. Since most of my experience and been with the latter, I used this time to observe an unmet population. They finished eating, and I waited an additional 15 minutes before I walked back over to the counter and asked if anyone there spoke English. When the Sergeant shook his head, I used my cell phone and called the Host Nation Office on the base. It is their function to act as translators in situations like these, to include even coming out to the area where assistance is needed. Anyway, I handed the phone to the cop and after several minutes of back-and-forth on the phone he handed me the phone back. I was told that we needed to go to a different Police Station because the Sergeant had determined that we were not in his jurisdiction. I was then queried as to where the accident had happened. When I explained it to the Host Nation Office they told me that it was in Al Gruffton’s jurisdiction and asked me to hand the phone back to the Desk Sergeant, which I did. Voices were raised this time and then the Sergeant passed me back the phone; I noticed that his sneer had turned to a glare. This situation was not getting better. This time the Host Nation Office basically told me that the guy was being a jerk and he didn’t want to deal with us. The Sergeant then started talking to Mojabar in Arabic telling him we needed to go to the Police Station in Al Thankful. So, I took The Form from the Sergeant and left. On the way there, I went back to my apartment to pick up my passport. I thought it might be helpful in this situation because if nothing else I wanted more proof that I was an American. Mojabar and I got separated on the way to Al Thankful, so I was on my own in trying to find the Police Station. Al Thankful is not a big neighborhood but I could not find the Police Station. I stopped a few people and asked directions but none of them seem to be sure where it was. On the plus side I now know where the Al Thankful Elementary School and National Bank of Kuwait’s offices are located. I called the Host Nation Office and told them I could not find the Police Station in Al Thankful and they instructed me to return to Camp Arifjan and to come to their office after filing a sworn statement at the Provost Marshall’s Office on what had happened. It was now noon. This was a simple rear end, fender bender with no injuries and no one arguing over who was responsible. In the United States, this would have been over three hours ago. However, there is more to my tale. Prior to going to the Provost Marshal’s office I stop by my office and typed out a statement of what had occurred. I figured that since I was dealing with people who were going to try to translate this into Arabic at some point it would be easier to do it from a typed statement than from one that was handwritten. I made a sworn statement at the Provost Marshal’s and then went to the Host Nation office. Before I got to the Host Nation Office, I received a phone call from a number I didn’t recognize. The call was from the Chief of the Al Thankful Police Station and he wanted to know why I was not there yet. I explained that I could not find the police department and that I had been instructed to proceed to Camp Arifjan and make my statement there. He asked, in the most polite terms, if I would be willing to come back down to his Police Station and drop off The Form since they needed to process Mojabar’s report. I told him I would let him talk to the Host Nation people when I got there. At this point I should point out that it is a five minute ride from the Police Station on base to the Host Nation office. The Police Chief called me twice from different numbers during that drive to remind me he needed The Form. The drive took almost twice as long because I had to pull over to answer the phone, I did not want to ignore the call and perhaps upset a Police Chief. Once inside the Host Nation office, I was offered coffee or something else to drink and then I had to fill out an accident report. I did this and then mentioned the calls from the Police Chief who was requesting The Form. I was told to ignore him and that the Host Nations Office would take care of this matter from this point on. That was great, except now I felt sorry for Mojabar who needed The Form to straighten things out on his end. I was asked to wait for one of the Kuwaiti liaisons to come in so that he could review all the documentation. I was told the liaison would be by in about five minutes. An hour later a tall thin man walked in wearing traditional Kuwaiti dress. I stood and greeted him in Arabic which I think shocked the Host Nation Office representative because I did it properly. There was some talking in Arabic between the two of them and then he asked me for the number of the Police Chief. I provided it to him and he made a phone call. The liaison then spoke to me in Arabic with the Host Nation representative translating. The gist of it was that because of treaty agreements between Kuwait and the United States my obligations with regard to this accident were complete. The other party was at fault and I had provided the needed statements. His office would translate my statement into Arabic and then send it down to the Al Thankful Police Station so there was no need for me to do anything further in that regard. However, if I felt like doing so I could meet with Mojabar or go to the Police Station and provide them with The Form; but I was cautioned that I did not need to provide any further statement has all of this had been taken care of. Before I left the Host Nation Office, I received a call from a friend of Mojabar who spoke better English and he requested that I meet them at the Police Station at 5 o’clock so that I could turn in The Form. The Kuwaiti government had recently started to deport expatriates who receive traffic tickets for speeding and other traffic violations. I am not sure what they would’ve done to Mojabar if for some reason The Form was not turned in; so, I agreed to meet them at the Police Station. They were going to meet me at a mutually known point from there I would follow them to the Al Thankful Police Station since I still didn’t know where it was. All of this was Okayed by the Kuwaiti liaison. So I shook his hand and thanked him, again in Arabic, and he said a few words that I did not know in Arabic before he did the Arabic Cheek Kiss thing. At 4:30 PM, I cruised down Highway 30 and met up with Mojabar and his friend then I followedThe Form. Mojabar’s friend Raj then proceeded to speak to the officer in Arabic explaining that there had been an accident earlier in the day and that we were here to complete the police portion of the report. We all stood around the sergeant’s desk as he started to go through the paperwork, and then he started to fill out another form while reviewing Mojabar’s registration and driver’s license. When he completed that he asked me for my registration, which I handed him, and then he asked me for my driver’s license. I think this is the first time that the Sergeant noticed that I was not an Indian. His entire demeanor changed once he found out I was an American. He said something in Arabic to Mojabar and Raj and they went to the corral and sat down. The Sergeant then asked me if I would like a cup of coffee and then signaled to a guy who was serving coffee to get me a cup. 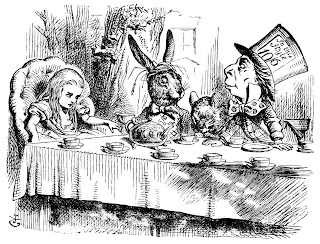 Alice becomes a guest at a "mad" tea party along with the March Hare, the Hatter, and a very tired Dormouse who falls asleep frequently, only to be violently woken up moments later by the March Hare and the Hatter. This was not American coffee but Kuwaiti coffee which is served in tiny cups and is much lighter. I like it okay and I didn’t want to appear rude by turning down his offer so I drank a cup of coffee with him standing at the counter. He asked many questions about where I was from and if I worked with the Army. Once he found out I did, he got very excited and told me that the American Army had saved his family during the Iraqi Invasion. I was then offered a second cup of coffee, which I also took. At this point I was wondering if I should bring up the fact that I really just wanted to draw this matter to a close and leave; but I thought better of it. I was invited to have a seat in the sitting area behind his counter with the other police officers who were gathered there drinking coffee, smoking cigarettes, and munching on dates. Again, I didn’t want to appear rude so I walked behind the counter and had a seat. As I sat down I glanced over at Mojabar who was standing in the corral and I could see concern cross his face about my newfound friendship. I was offered more coffee – – which I turned down, after three I figured I had been quite enough – – dates, which I took and then the Desk Sergeant said something to the guy who was serving coffee who then disappeared for moment reappearing with a tray of fruit. At this point, I figured the fruit was in my honor, so I ate some of it as well. This was a welcome respite in some ways but it was also confusing because the conversation was taking place in both English and Arabic sometimes changing languages midsentence. Over time several new officers and Kuwaitis in traditional dress entered, I mimicked everyone else’s actions of standing, shaking hands, and greeting each one; a majority of the time I found myself getting the Arab Cheek Kiss. I could tell that my actions seem to please the officer sitting there perhaps because I acclimated to their behavior. I hadn’t noticed, but while I was sitting there the Desk Sergeant had continued to work on the new form and had now completed it. He called Raj over and handed them the new form saying something in Arabic to him about where we needed to go next. Alice leaves the tea party and enters the garden where she comes upon three living playing cards painting the white roses on a rose tree red because The Queen of Hearts hates white roses. After thanking the Desk Sergeant and the other assembled officers, I received an invitation to return to have coffee and socialize with them any time, I exited the building with Raj and Mojabar. I was not sure what the next step was but Raj was busy dialing numbers on his phone. Raj tried to explain between phone calls that we needed to speak to an Inspector to close out this accident and he was trying to call a friend who could help us to do so. Raj also told me that we needed to go to yet another Police Station in order to meet with the Inspector. The Duchess is brought to the croquet ground at Alice's request. She ruminates on finding morals in everything around her. After several more phone calls, I interrupt Raj and informed him that if this doesn’t move forward soon that I am done and going home. I have spent most of my day working on getting this straightened out and at this point I am only present out of the goodness of my heart to try and help out Mojabar to ensure that he doesn’t get in trouble simply because I am not present. They now had The Form and I did not see that I was providing any added value at this point. Raj launched into a long explanation about the fact that it was Thursday night, which is the same as Friday in the United States, then went on and on explaining what I already knew about Kuwait’s weekend schedule. He asked if I would be available on Sunday to finish this off and I told him that it was now or never. 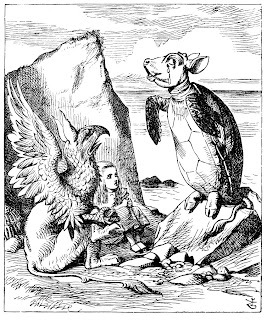 The Mock Turtle and the Gryphon dance to the Lobster Quadrille, while Alice recites (rather incorrectly) "'Tis the Voice of the Lobster". The Mock Turtle sings them "Beautiful Soup" during which the Gryphon drags Alice away for an impending trial. At that point, we jumped in our cars and took off. Another trip through town with me following Raj; going to yet another Police Station. The traffic had started to die down at least, which also meant it was getting later and darker. At this point, I’ve had nothing to eat since 10 AM and nothing to drink except that coffee. So at this point I could really use some water and some food. I was not exactly in a patient mood. During the proceedings, Alice finds that she is steadily growing larger. 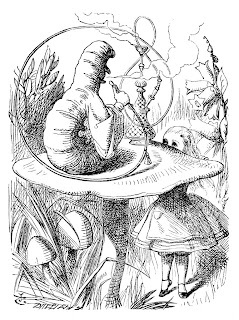 The dormouse scolds Alice and tells her she has no right to grow at such a rapid pace and take up all the air. Alice scoffs and calls the dormouse's accusation ridiculous because everyone grows and she cannot help it. As we walk into another Police Station, which had an interior that was laid out exactly like the last two, I am in no mood for any more runaround. I walked directly to the Desk Sergeant’s counter and ask to speak to the Inspector regarding an accident. That would work in America, however the Desk Sergeant speaks no English whatsoever and it only gets me a quizzical look. Raj is behind me and he bursts into a flurry of Arabic explaining why we are here. After a few moments we are directed to the waiting corral. Rather than sitting down in the corral, I call a friend who speaks fluent Arabic on my phone and ask him to explain to the Desk Sergeant that I have already provided a statement and that I will leave unless I am immediately taken to the Inspector so that I can draw this matter to a close. I then handed the phone to the Desk Sergeant. A quick Arabic conversation goes on and then the officer hands the phone back to me. My friend tells me to show the Desk Sergeant the cover of my passport, which I do. The officer’s eyes get wide and suddenly he speaks English. He apologizes to me in fairly unaccented English then explains that it will take a moment because the Inspector is busy with another case. The Desk Sergeant promises that I will be taken in as soon as the Inspector is free and he will guarantee me that I will be there no longer than 30 minutes. I look at my watch and make a mental note of the time because in 30 minutes I am walking out. 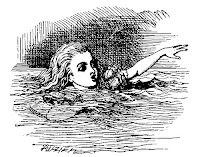 Alice is then called up as a witness. She accidentally knocks over the jury box with the animals inside them and the King orders the animals be placed back into their seats before the trial continues. While standing in the waiting area, I was tired of sitting at this point, I watched people come and go; it was a very busy place. About 15 minutes later sergeant comes and tells us that the Inspector was now available and be will be with us in a moment. Shortly after that, a very tall Kuwaiti in traditional dress appeared and motioned for us to follow him. Raj, Mojabar and I walked down the hall to his office and then had a seat on opposing couches in front of his desk. He spoke very rapidly in Arabic to Raj and then turned to me, smiled, and then in perfect English greeted me and asked how I was doing. He then explained that this would only take a few minutes and then things would be complete. The Inspector then took out a huge log book (it was at least 20 inches long by a foot wide and 2 inches thick) and started to write. Apparently everything in the Police Station is still done manually instead of by computer. The Inspector read The Form and then transferred a lot of information into the book and then he asked Mojabar what happened. Mojabar started to speak and then Raj took over. The Inspector then turned to me and in English told me that Mojabar took full responsibility for the accident, which was good because there is no way that I was responsible for the accident based on The Form. He then asked for my driver’s license and registration. I provided him with those and then the issue of the Michigan Driver’s License popped up again. He asked me if it was an International Driver’s License. I explained that it was only a state license but that I did also possess an international license although I did not have it with me at the time. The Inspector got a worried look on his face and then picked up his desk phone and called somebody. After several minutes he explained to me there could be an issue because I was not driving legally. At that point, I pulled out my Military Driver’s License and passport then explained that with these three documents I was legally allowed to drive in Kuwait based on international agreement. He shook his head. It was time for me to pull out my trump card. I requested that he call the Host Nation Office and they could explain this to him. The Inspector readily agreed – – I will say that he was the most cordial Kuwaiti official that I dealt with during this whole ordeal, aside from the grateful Desk Sergeant, he dialed the number on his phone and after an initial greeting handed the phone to me. I explained to the person on the other end of the phone where I was, what was going on, and what the problem appeared to be at this point. Then I handed the phone back to the Inspector. The discussion was primarily one way because the Inspector spent a lot of time agreeing and nodding – then he promptly hung up. The Inspector looked at me again, smiled, and thanked me for my time and told me that my part in the incident was complete and I was free to go. Both Raj and Mojabar’s mouths were hanging open. Apparently I had pulled a wasta rabbit out of a hat. I stood and shook hands with the Inspector, Raj and Mojabar and then turned to go. It had been exactly 13 hours since the beginning of this trip to Wonderland. I did end up with several takeaways: I now know the locations of three Kuwaiti Police Stations and have an open invitation to have coffee with the cops at one of the stations, I learned six new Arabic words, I possibly prevented a deportation, I met a Kuwaiti tribal chief, I was thanked for US assistance in the Iraq War (second time this month), and I now know that I have some wasta in my pocket should th eneed ever arise again. As I thought about writing about this experience, I kept coming back to comparisons between what it happened and Alice in Wonderland. 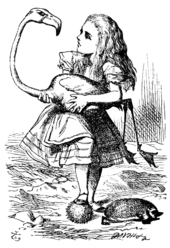 When I looked at the titles of each of the chapters of Lewis Carroll’s book, I realized how apropos that comparison was and that is why I have chosen to use them here to segment this story. And so dear reader, this ends this particular tale of my life in Kuwait. 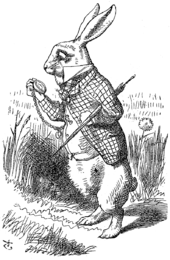 Now I think it’s time for me to go and find out where that White Rabbit with the pocket watch is going. After all, he’s late.